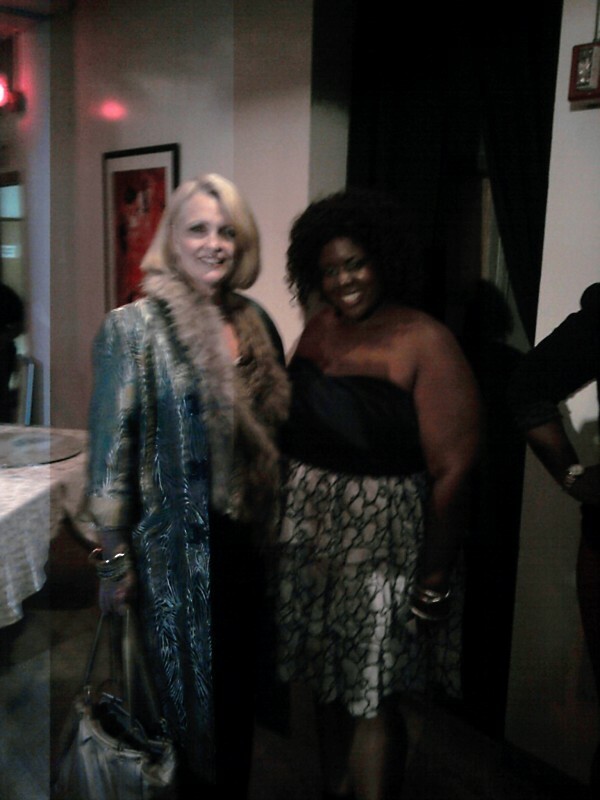 Last week SC was invited to check out the Evolution of Curves fashion show in NYC. 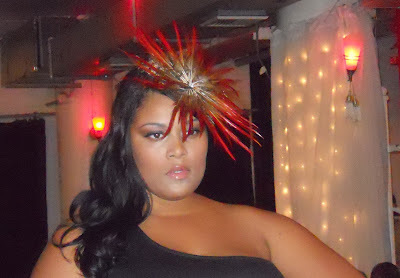 On Sunday October 10, 2010, Stepping Out Studios probably didn’t know what they were stepping into when they decided to host Evolution of Curves plus size fashion show because it was a curvy girl explosion. The event was packed with some of the who’s who of the plus size industry, like FFFW creator Gwen Devoe and Plus size model pioneer Catherine Schuller. 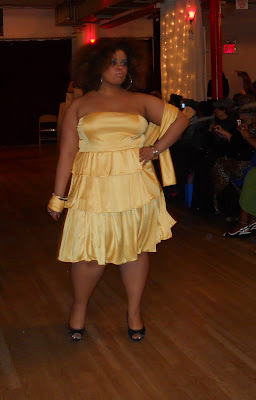 There were designs from some curvy girl favorites like Faith 21 and ReDress NYC. 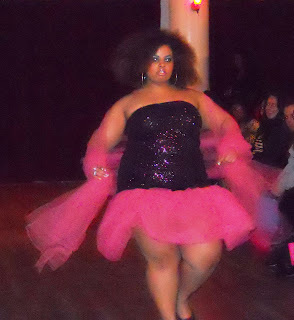 Other new designers were Arturo Rios, Jessica Pritchett, Majestic Couture, and My Hunney. The founder of Evolution of Curves is no stranger to modeling herself, Sandy Jean Philippe is a Haitian model and actress who gained national notariety as the grand prize winner of E! Network’s Bank of Hollywood. She is using the Evolution of Curves tour as a way of “infusing the best in fashion, beauty, and dance with a host of style makers, fashion elites, and trendsetters.” The tour is also a charity event being that all the proceeds from the tour will benefit the Haiti Cherie Foundation efforts to build homes in Haiti. 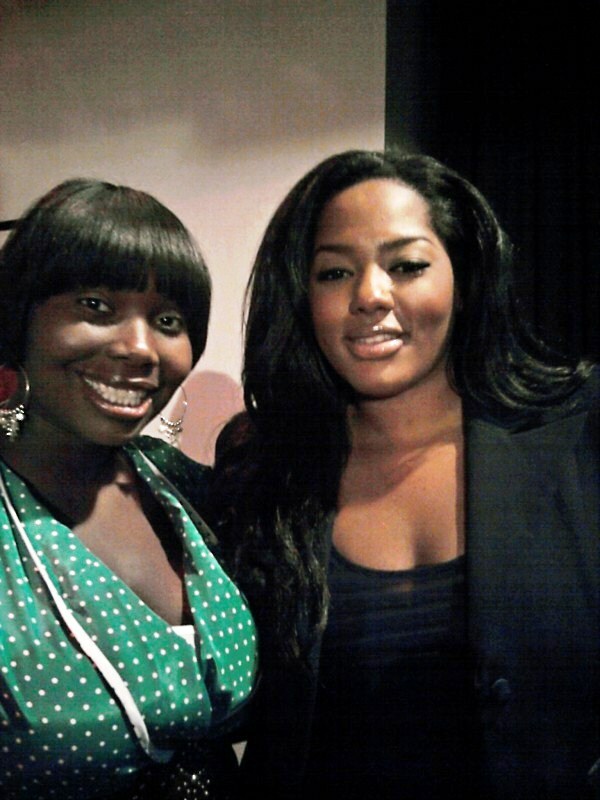 The event was presented by Once Chance Entertainment and hosted by Mo’Niques F.A.T Chance winner, the beautiful Joanna Borgella. The show got off to a late start, but, when it began everyone immediately got excited. The show kicked off with a head bouncing routine from the Evolution dance team. A group of curvy girls who did a way with the one two step shuffle and served up moves that even Beyonce would try to copy (Who says curvy girls can’t get down). After an exhilarating routine the fashion show began. We are so used to seeing models stiffly walk down the runway but not at Evolution of Curves. The models walked with a little bounce in their step and gave major attitude as they glided down the runway and posed. The night was not only full of fashion but of heart touching stories about the turmoil and destruction that’s going on in Haiti. Both Sandy Philippe and Joanna Borgella have family members who are still in Haiti who say that things are not getting better. For Sandy it was important to have the proceeds of the event go to Haiti because it was her way of being able to help her country. For more info about The Evolution of Curves tour checkout their website HERE. ReDress NYC showcased a variety of styles from their wildly popular boutique which included current trends, pocketbooks, and some vintage pieces. Forever 21 presents Faith 21 Plus was one of the sponsors of the event. Checkout the models working pieces from the Fall collection. My Hunney showed off fun 80’s style dresses. After the show all the models came out for one last walk. Joanna Borgella (on the right in the black and red) showed off her runway skills in the finale. I had a few moments to chat with the founder of Evolution of Curves Sandy Jean Philippe and I asked her the following questions. SC: What is your message to young plus size women? SJP: “Love yourself first. If there is something that you want ot change about yourself then change it. Find your inner strength. SC: What are some of your fashion tips? SC: What are some future projects you are working on?